The first 50 people to follow our Instagram and send an email to studio@wordsearch.co.uk with your postal address will receive a free copy of Unearthed. Unearthed takes you inside the art and science of property marketing, travelling the globe to uncover the wisdom of the world’s leading property professionals. The six-chapter handbook features insight from real estate experts including Battersea Power Station Development Company, Tribeca Associates, Macklowe Company, as well as Wordsearch Australia, New York, Singapore and Beijing. Which technologies are the innovators using? What’s working in other markets? Who do I need on my team? How can I balance risk with results? We’ve put the key facets of property marketing under the microscope to see what makes them tick. Here, developers, agents, creative studios, designers, strategists and architects share their hard-won expertise to give you the inside story on innovative, effective property marketing. 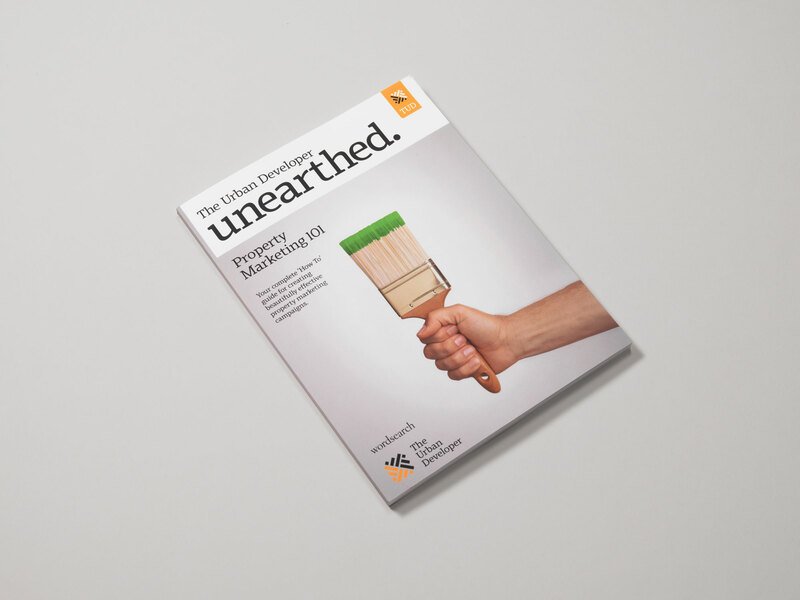 The Unearthed book features exclusive case studies, tools, timelines and checklists to help you fast-track your next marketing project and raise the quality bar. Produced by The Urban Developer, in collaboration with Wordsearch, Unearthed is part interview series, part textbook and all inspiration. It uncovers what’s really happening inside property marketing. Unearthed is available now in both print and e-book editions, through Amazon, Kobo, Google Play, Apple iBooks, Barnes & Noble, Angus & Robertson and other retailers.